On a cold night in mid-January, Greg and Erin Swiatocha — like so many new parents — booked a babysitter for their 7-month-old son so they could get out of the house and spend time together. Some couples may have seized the opportunity to visit a nice restaurant, see a movie or grab a drink. Not the Swiatochas. The Alexandria couple employed the sitter so they could go on an eight-mile run together. It’s one of their favorite things to do together, after all. It’s a chance for this highly skilled running couple catch up on each other’s days and check in on how the other one is doing. 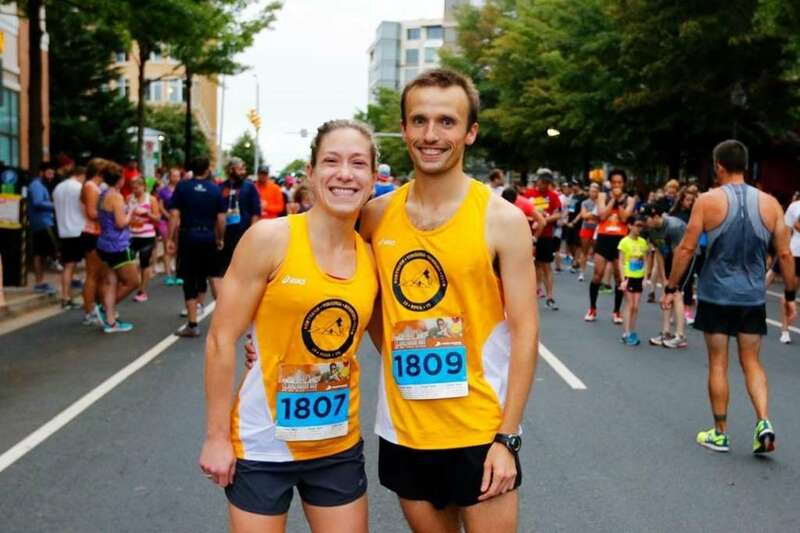 “Most married couples have those talks when they’re cooking together and out on weekends, but we talk on our runs together,” said Erin, a 3:08 marathoner and 1:25 half marathoner. Greg boasts a half marathon PR of 1:13 and a marathon best of 2:44. As Valentine’s Day approaches, love stories take center stage. And for the running community, those love stories involve couples that share a passion for running PRs, logging dozens of miles and understand grueling training seasons — all while celebrating each other’s victories in the sport.